I want to talk a little bit about something that was an essential part of my university experience, but sorely overlooked because of the extreme mundane nature of it all – the commute or rather, the car that made the commute possible. I live close within driving distance to the University where I did my undergrad and I drove the 45 minutes every day, rain or shine. As I did not live in town, my car became my closet, change room, dining table, library and junk drawer. After over 4 years of university and over 8 years of driving the little blue Toyota Echo every day, it began to feel like an extension of who I was. The dashboard became littered with parking stickers and I proudly bore my university window sticker in the back as I made the daily commute. Never mind that it didn’t have power steering, automatic anything or air conditioning, it was mine and it was the perfect place to plan what I was going to say in my seminars on the way into school and the best way to process the day on the way home. 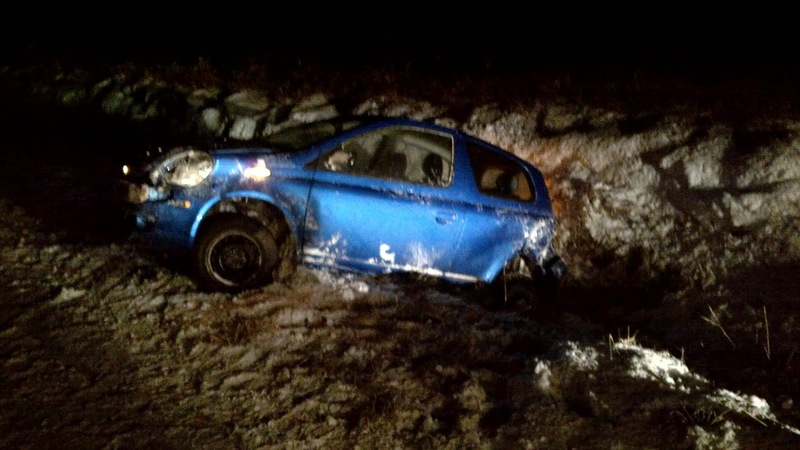 New Years Eve, my little car (name: Serendipity Elizabeth) died in action after hitting a patch of black ice and it felt like the end of an era. This was my university car. I graduated this summer and had a thousand different plans ready for the moment that I paid off that ever present student debt. Instead, I begin 2013 with the frantic search for a new vehicle and the promise of new memories to be made in grad school or who know where else. Thankfully, I survived the accident unscathed, save for some bruises and whip lash but it made me realize how much I depend on my car. And yes, I will be giving my new car a name. Anyone else have a commute every day?